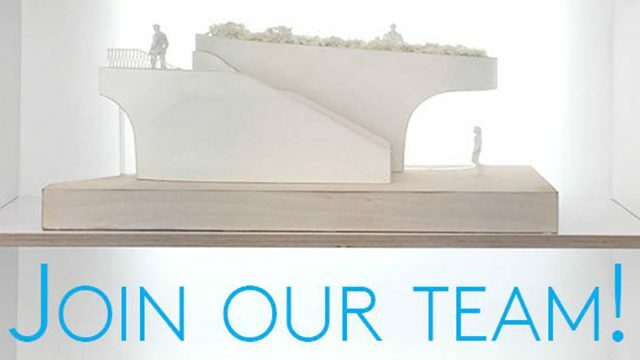 We have a vacancy for an ambitious and talented Part 1 Architectural assistant to work on UK cultural, retail and transport projects won in international competition. The successful candidate will have RIBA Part I or equivalent. We offer an exceptional mentoring and training experience under the guidance of our senior team in a great central London environment. You should value architecture that is people centred and experience focused, have a passion for material craft, and new ways of making. -Confident 3D modelling in Rhino and Revit. – Excellent rendering and visualisation skills. -Good communication skills with a confident manner. -Experience with physical model making a bonus. -Some prior professional experience preferred. -Contribute to developing concept designs for new projects and preparation of submissions. -Assist architects with day-to-day running of projects. -Developing designs from initial stages to presentation renderings and models. -Undertake design research related to ongoing projects. -Work with clients and consultants on live projects from concept to construction. -Learn about the architectural design process and project management. The position will be for a minimum of six months, but we prefer a graduate who is interested in developing their skills with us over their full year out. You must be eligible to work in the UK and available to start end of July. To apply, please email us your CV, portfolio, and cover letter with ’16.07Part 1 Lastname_Firstname’ in the subject line to work@nex-architecture.com telling us why you think you would make a great addition to our team. Total file size should be under 5MB.